Spitalfields Music and the Barbican are proud to bring Richard Reed Parry (of Arcade Fire)’s folk project to the UK for the first time, following his Autumn 2018 debut album launch. Quiet River of Dust Vol. 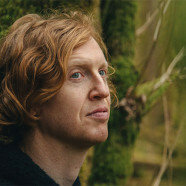 1 was inspired by Richard Reed Parry’s tour of Japan and incorporates Buddhist myths, death poems and British folk songs.